The senior leader has wrapped up her welcome, along with the opening Q&A. She has introduced Bill and me as co-facilitators. It can’t be undone. My fortunes are now officially tied to Bill. This is a 5-day program (problem). The content is pretty dry, mostly procedural and technical (bigger problem). Bill is leading Monday-Tuesday. I’m up on Wednesday. So I’m at the back of the room, for two days, watching and listening. Later, I’ll use what I hear to link Bill’s section and mine. Bill steps up to take the lead. On a table in front of him are his facilitation notes, a laptop, an LCD projector, and a tangle of cables. He waves his remote clicker like a wand and advances to the first slide. Bill introduces himself and catalogues his achievements in an unrelated industry. He walks through the agenda and apologizes for all the stuff that won’t be covered. He makes a few jokes which generate no laughter. He tells a quick story which earns no response. He asks a few questions and dismisses the answers. We’re 20 minutes in and sinking. This was 2006. Bill and I worked for different training companies. We were brought together to deliver a client’s program. I was the rookie facilitator (in my pre-Shift life), learning the ropes. Bill was the silver-haired veteran and subject matter expert. Watching Bill for two days was like witnessing a train wreck. It was painful, but it forced me to reflect. The lessons I learned have been invaluable. Bill was a guru with deep knowledge and expertise in his field. Great for him, but it turned out awful for the participants. He didn’t speak their language and they didn’t speak his. The poorly designed, cookie-cutter materials didn’t help. At no point did he make an attempt to build a bridge “to take a walk in the participants'” shoes to see what they saw and feel what they felt. Bill asked questions, but he always had a better answer than what the participants could muster. The more he made them wrong, the more his credibility suffered. His sarcasm poked fun at the participants’ lack of sophistication on the subject at hand. Any interest or curiosity they might have had was steadily eroded. Bill had no filter. His stories were often irrelevant, and sometimes included graphic detail that bordered on the offensive. The greater the shock value, the wider his grin. His stories were memorable for all the wrong reasons. Whether teaching concepts or giving instructions, Bill made everything more complicated than it needed to be. Participants wasted a lot of energy trying to decipher what he said. There was frustration in his voice when they didn’t get it. He introduced a mixed bag of useful tools, but there was no clear message to tie them all together. The participants wanted dialogue, but Bill was stuck on the script. He declined their invitation to let him into their world. In spite of the comments, tone, and body language on display, Bill was a freight train dragging the material forward. Questions threatened his derailment, and so were plowed aside. He completely missed the opportunity to let people discover the value of the ideas and tools he had to offer. 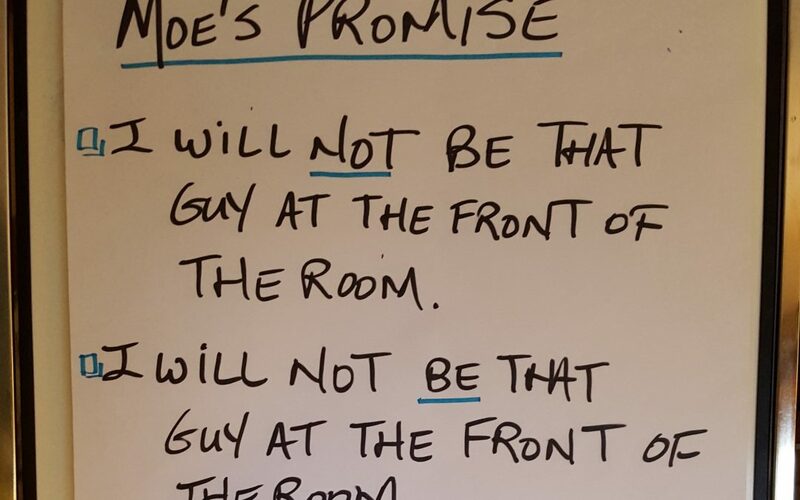 Watching Bill, I promised myself – I would never be THAT guy at the front of the room. I was motivated to seek out mentors and experiences that could make me better. I worked with outstanding facilitators and solicited their feedback. I spoke to clients about their best and worst experiences with trainers. I scrupulously tracked what worked and what didn’t. 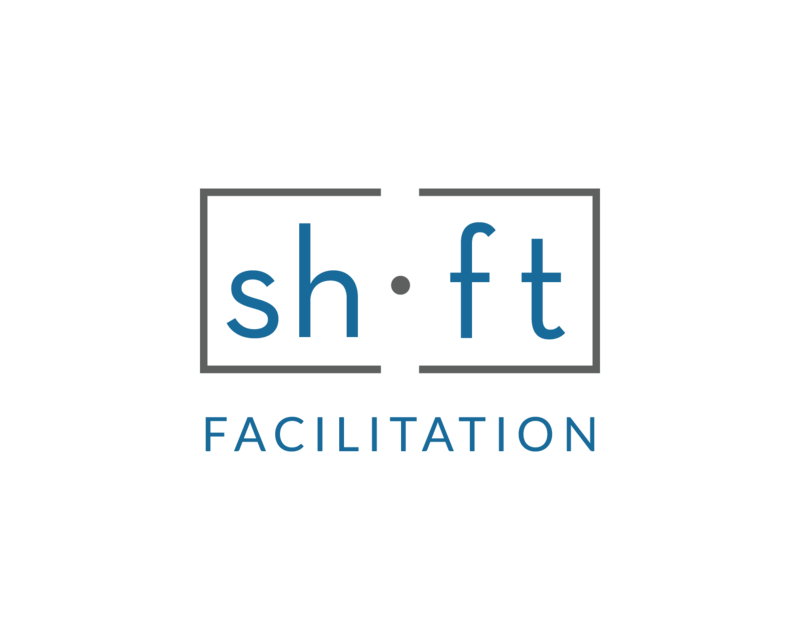 Armed with an understanding of what it takes to be “The Best Facilitator Ever”, I founded Shift. In a strange way, I have Bill to thank for that.